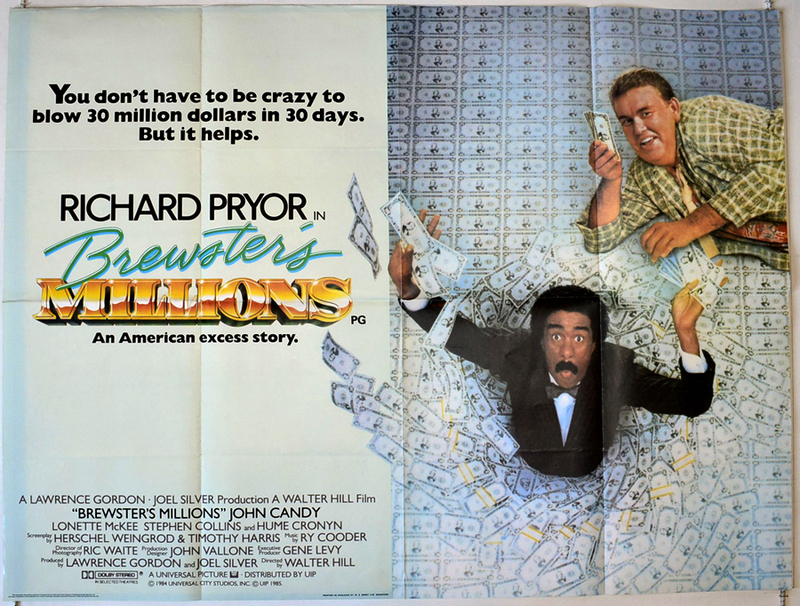 In honor of tonight’s ridiculous double header 7-person then 10-person Republican debate, a quick reminder to put Richard Pryor’s Brewster’s Millions on your film bucket list. The film combines minor league baseball, electoral politics, venture capitalism, and class-divide comedy. Other involved parties of interest: John Candy. Yakov Smirnoff. (yes, the “I love America!” guy) Rick Moranis. That old guy who was married to Jessica Tandy and was in Cocoon…. oh yeah, Hume Cronyn. And the dad from Seventh Heaven.